We all need time off from work, but to Ask the Boss for a leave is never that easy. If cinching that vacation time is top priority, filling out a leave form and crossing your fingers probably won’t cut it. So how are you going to convince the office tyrant to let you enjoy a few days of indulgence, renewal, summer fun or urban escapes? That’s exactly what the Hong Kong Tourism Board (HKTB) wants to find out. Their Discover Hong Kong campaign is throwing in actual vacations (we’re talking about 4-day-3-night packages, airfare and amazing activities) at “Asia’s World City”, and all you need to do is to Ask the Boss. 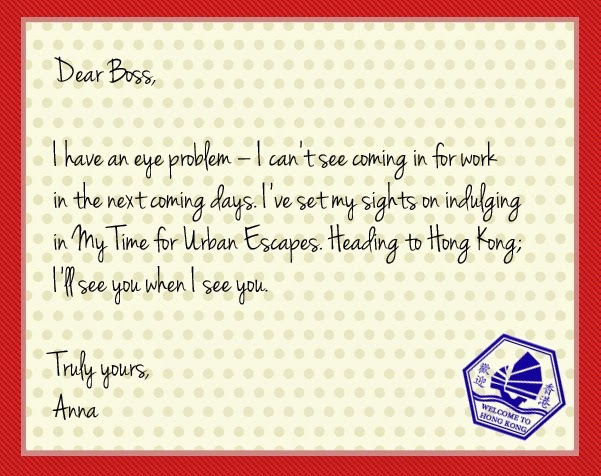 The Boss can be contacted at Discover Hong Kong’s Facebook page, www.facebook.com/DiscoverHongKong. Of course, as with most things related to requests, asking the boss is nowhere near simple. Would-be vacationers from 5 countries across Asia – the Philippines, Indonesia, Singapore, Taiwan, and Thailand –would have to rack their brains to come up with persuasive and creative reasons to convince the Boss that they deserve the trip. Travel is a form of education, a way of broadening horizons, and opening up new perspectives. Tell the Boss that's exactly why you need this trip: to renew and rekindle your passion for the job. You plan to get yourself dressed to the nines, Hong Kong-style, in the My Time for Renewal gentleman's tour. You'll be dashing and dapper head-to-toe, as you have everything—from your shirt, suit, and even your shoes—custom-made from the city's best tailors and craftsmen. And if impeccable style isn't enough to bring in more clients, tell the Boss it's a city tan you need. It's today's modern way of getting than enviable golden glow, and in My Time for Urban Escapes, you get that sun-kissed complexion—plus access to Hong Kong's most hip and happening urban hotspots. Food is the universal language understood by all, and hopefully, by the Boss. 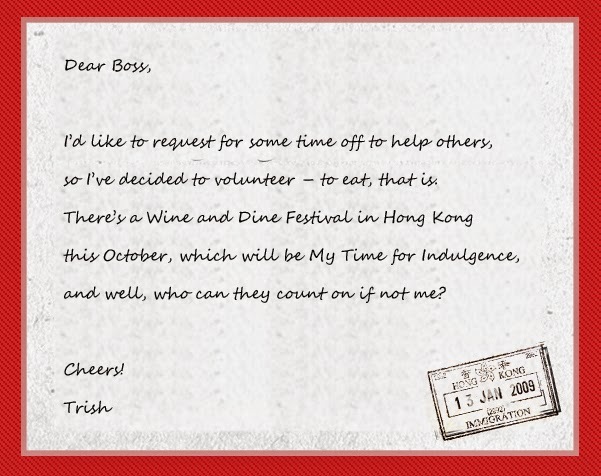 My Time for Indulgence takes you on a food trip around Hong Kong, where you can finally eat all your work-related woes away, and return to the office an inspired and renewed, hard-working employee. And if all else fails, play the emotional card. If the Boss has a heart, then the Boss will sincerely let you off on this Hong Kong tour of family-friendly attractions in My Time for Summer Fun. Think the Boss will approve? 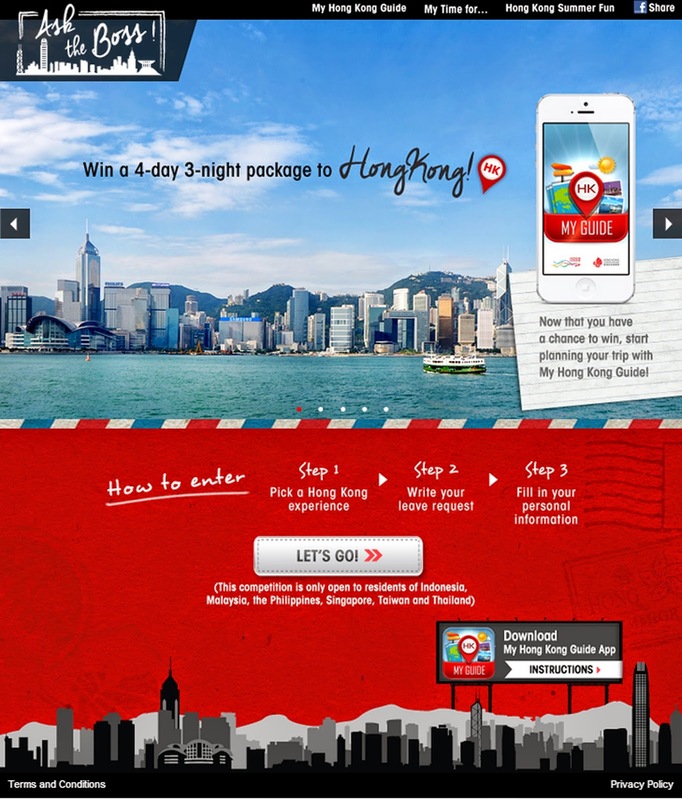 Head over and make that convincing letter at http://myhkg-campaign.discoverhongkong.com/en/. You have only until 11:59 am on August 11, 2014 to submit the request that will change your life, boost your career, and help you enjoy and discover Hong Kong to your heart's content. And you can start planning your Hong Kong trip by checking out My Hong Kong Guide. Go light and download the interactive mobile app. 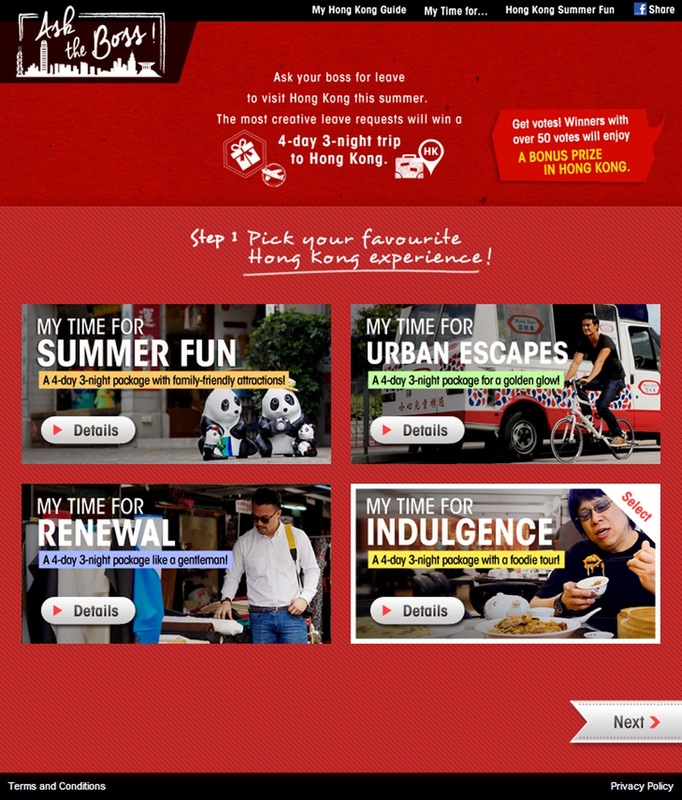 You can plan your own itinerary and get inspiration on what other travelers are doing in Hong Kong. And best of all, you can share your Hong Kong adventures with your friends on social media. Check it out now at http://guide.discoverhongkong.com. This is a Press Release. Good timing! My officemates and I are planning to go to Hongkong. I think I should join, who knows, I may got lucky! 3rd Anniversary Giveaway #2: Osaka Ohsho! Sushi, Rolls and Sashimi Overload at Genji M!